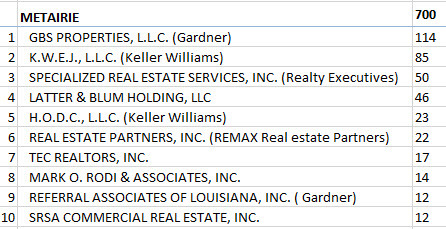 There are 13,439 active Louisiana real estate agents, but the city with the most and the company with the most will surprise you. The location of real estate agents does not match up identically with the location of the home buying public. For example, New Orleans has the most licensed agents but does not have the highest population count unless you add in Metairie. 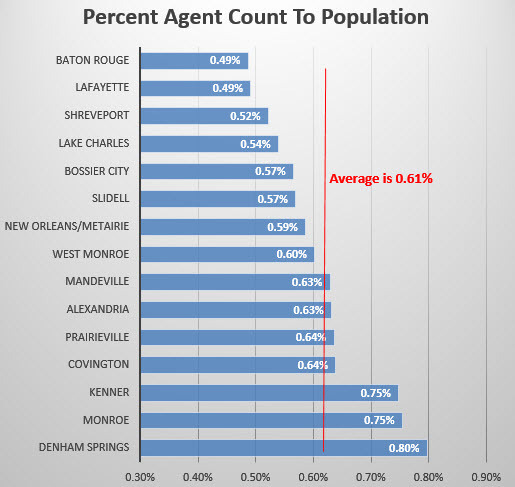 Shreveport is the 3rd largest agent count in the state but only has the 5th highest population. The table below ranks the top 15 areas, comparing the number of agents with the population. Agents must have their license held by a broker, as required by the Louisiana Real Estate Commission. The broker is held to a higher standard and requires 150 hours of classroom education in order to become licensed. New Orleans and Baton Rouge are 19% of the market, and the top broker in the state is Latter and Blum with 1,163 agents, but they only have 8.6% of the market. The broker market is not only fragmented but localized, with differences in agent count within areas just a few miles apart, as shown in the two tables below which compare the agent count by broker for New Orleans and Metairie. 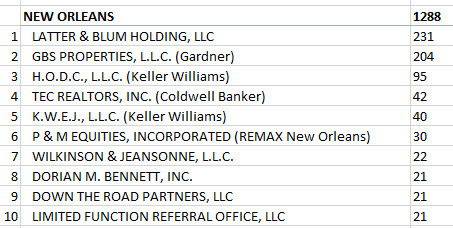 Who Are The Top 10 Brokers In New Orleans? 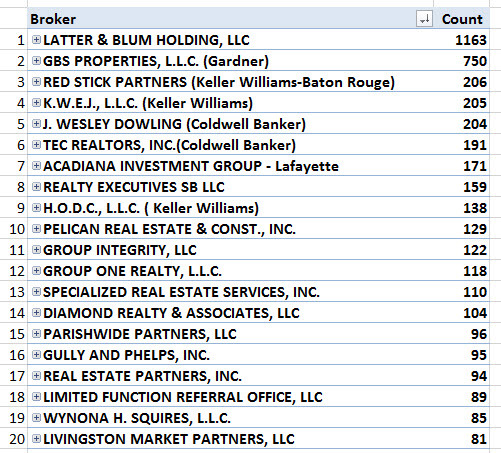 Who Are The Top 10 Brokers In Metairie? 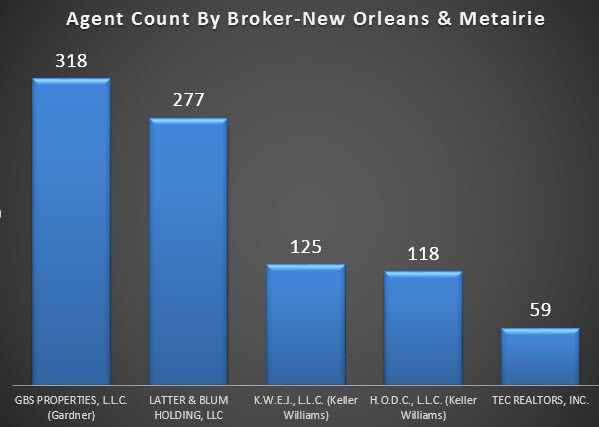 In the Metairie and New Orleans combined area, the top broker is actually GBS Properties, known as Gardner Realtors with 318 agents, compared to Latter and Blum with 277 agents.